Mote Marine Laboratory announced it will use a $2.2 million fund to test new and different methods of fighting red tide. The latest red tide maps show that parts of Southwest Florida still have high levels of red tide, and as public concern continues to grow, public officials are facing pressure to take action. Gov. Rick Scott announced he is directing $2.2 million to expand red tide testing and research. Mote scientists say the money will go a long way in their efforts to understand and combat red tide now, and down the road. 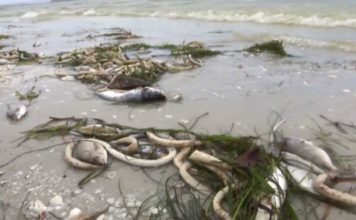 Scientists say they are nearing a point where they can forecast a red tide event the same way they are able to forecast hurricanes, but they aren’t there yet. Mote’s ozone system was successful in a Boca Grande canal, and specialized clay field experiments will be tested in the field on a larger scale. “What this $2.2 million will do is help us move forward with mitigation strategies look for ways that we cant actually impede on impacts of red tide,” said Dr. Tracy Fanara, a Mote Marine staff scientist. Part of the funds will go towards developing new technology and strategies in the fight against toxic algal blooms. Dr. Crosby says he hopes to begin in-field testing of those strategies within six months. 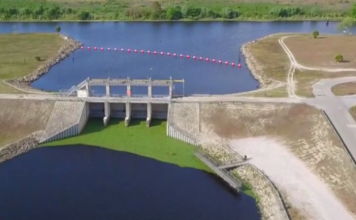 Next articleIs spraying weeds in Central Florida lakes, contributing to Southwest Florida’s water crisis?